Momomo, crafted by the same brewery as Koishiso Shochu, is made by blending 30% perfectly sun-ripened red peach juice and flesh with Kumaoto’s Kuma rice shochu. 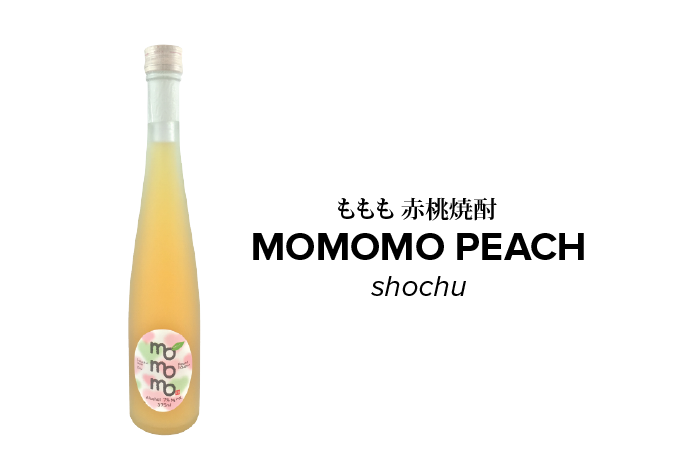 Containing no added preservatives or artificial colors, Momomo Peach Shochu has naturally fruity-sweet aroma and tangy peach flavor that expands on the palate after one sip. Enjoy Momomo Shochu straight, mixed with tonic water, or on the rocks. Brewery: Sengetsu Shuzo Co., Ltd. This premium Japanese herb shochu is made of rice shochu and leaves from the perilla plant. No preservative and artificial color added. 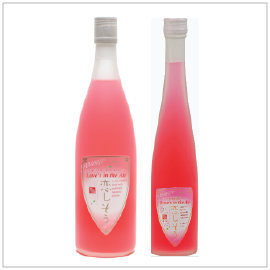 The fruity fragrance of shiso opens out to subtle sweetness and ending in crisp clean flavor. Served chilled or room temperature. Red shisho is believed to have good health benefits for stomach and is great served as an aperitif.